In less than a decade, crowdfunding has already been recognised as one of the most typical methods of fundraising for technological products. It has assisted millions of innovators to bring their ideas into the market. Given the exponential growth of cryptocurrencies within the last few years, crowdfunding has attained new milestones and an increasingly promising prospect despite the slowdown of Initial Coin Offerings (ICO). According to the World Bank’s “Crowdfunding’s Potential for the Developing World” report, the industry is expected to worth more than US$95 billion in the near future. 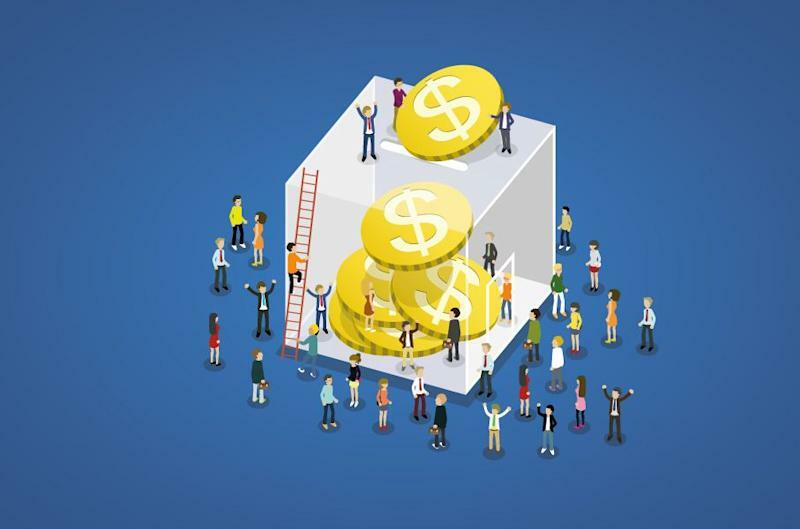 Crowdfunding has effectively transformed from a practice with limited sources of contributions (mainly charity) purposed to acquire future products to allowing crowd contributors to access profit-making opportunities. This major change is due to the rising ease of transacting tokens (shares of crypto-projects) in secondary markets. While there is no concrete information regarding the number of crowdfunding platforms operating across the globe, it’s estimated that more than 600 platforms will claim a portion of the crowdfunding pie. All while ICOs make it easier for crowd-entrepreneurs to launch a campaign without using a platform, which we have yet to analyse the effects of its consequence. Through equity crowdfunding, the collective effort of a significant number of people (aka the participating crowd in an early-stage joint investment) who are usually not listed in stock market companies is exchanged for shares. While participation in early-stage funding has been limited to wealthy individuals — angel investors and venture capital firms — equity investments are coming to challenge the way startups companies are financed. Participating in early-stage startups offer the potential for growth and returns, which is something that mature companies cannot guarantee. Despite the apparent risks, the maximising potential alongside such multiplayers makes startup investing among the most promising type of investments. Security Token Offerings (STOs) is the next logical frontier. According to Statista’s latest available data for the global crowdfunding industry of 2017, equity funding accounts for only US$2.5 billion annually. Despite the release of some basic infrastructure, we can easily notice the lack of Security Offerings and the few individuals continuing to postpone the opening date — due to legal concerns or lack of interest. Entrepreneurs usually have limited opportunities to fund their businesses, and investors have a difficult time assessing small and medium enterprises. 70 per cent of the world’s population is classified as potential investors who do not possess large capital given their limited resources. This group of retail investors is actively looking for solutions which will enable them to invest small sums of money where only large capital is accepted — which usually constitutes for the most profitable investments. There are already platforms like Roobee introducing new and different funding models to supplement venture financing. In fact, Roobee is already offering micro-investments starting from US$10 that enables crowds t access Initial Public Offerings (IPOs), real-estate, loans, and investment funds. This blockchain startup uses cutting-edge blockchain technology which provides highly accurate and publicly audible investment return statistics. The testing phase has managed to help 5,000 people put over 21,000 ETH (approx. US$15 million) in a number of investment funds, venture and blockchain projects during private rounds. Two of the most successful crowdfunding platforms are charging fees which surpass 8 per cent of the campaign’s contribution. For non-profit organizations and enterprises who have to survive on the minimum viable grants, those fees are truly devastating. Furthermore, with regards to blockchain claiming to make the whole process completely transparent, the integration of blockchain and acceptance of cryptocurrencies can really reduce fees significantly. Additionally, the reduction of fees means the elimination of obstacles arising from geographical, political, and economic borders. The era of non-regulated crowdfunding platforms had already passed, but with the rise of ICOs and blockchain technology, many new platforms have been incorporated into exotic tax-haven destinations without complying to their respective regulations. Today crowdfunding is mainly conducted on the basis of national legislation, which means that platforms are subject to rules depending on the country where they operate. This makes it difficult for platforms to provide their services beyond the borders. The Europian Union (EU) has already established a one-stop-shop access to its market which helps crowdfunding platforms overcome the barriers they face operating cross-border and gives more opportunities to European investors. All this while safeguarding a high level of investor protection in relation to crowdfunding services. On the other hand, the regulation of crowdfunding in the United States is multi-faceted. Crowdfunding platforms that are reward-based or for the collection of donations are mostly unregulated, subject only to the prohibitions on fraud and false advertising that apply to all commercial transactions. Regulations involving crowd-investing and most forms of crowd-lending must comply with the registration and prospectus requirements of the Securities Act of 1933, unless an exemption is available. 2019 will be a year where most platforms will become compatible with at least the major regulation in the respective regulatory of authorities they currently have established activities in. With the great selection of options they currently have, consumers are highly unlikely to use a platform which is not regulated at all for their transactions. With numerous scams in 2018 — which include popular cryptocurrencies exit scams like BitConnect, and projects like iBackPack which raised nearly US$800,000 through Indiegogo and Kickstarter crowdfunding platforms before vanishing without delivering its promises, the need for escrow based on the deliverables is pressing. Automated smart contracts will be executed as soon as the wisdom of crowd contributors is being met — as deliverable-milestones organised by the crowdfunding campaign. Funds will be secured and gradually distributed to the teams as soon they meet certain deadlines. Professor Ethan Mollick analyzed the delivery rates of Kickstarter projects funded from April 2009 to May 2015 by examining 65,326 projects and interviewing 47,188 backers who responded to his requests. The results are proof that an escrow mechanism for the release of the funds is well-needed. Nine per cent of Kickstarter projects did not deliver any rewards or delivered differently from the ones indicated in the fundraising period. Eight per cent of the funds from backers went to projects that didn’t deliver at all and the project has failed. Only 65 per cent of backers agreed with the statement that “the reward was delivered on time”. “Today, even an inexperienced user has access to investment opportunities. Unfortunately, a person who doesn’t have advanced analytical skills and doesn’t know how this market works, is at risk of suffering significant losses. Many start their investment experience together with professional brokers or investment platforms that take all the cares related to investments and competently diversify risks. Crowdfunding has come with a steadily continuous growth that is not constricted to a geographical area, but rather, widespread across the globe. The same report from Professor Mollick concludes that one in 10 projects will fail, a refund will be received 13 per cent of the time, and most importantly, 73 per cent of backers who supported a failed project said they would support another project. This indicates a sense of encouragement for the future of crowdfunding since it showcases the understanding on behalf of consumers to support innovative projects which require research — and a certain percentage of failure that follows. The introduction of blockchain technology, escrow & automate smart contracts, regulation, micro-investments, and equity funding will definitely be among the highlights of the crowdfunding industry we expect to see growing exponentially in 2019. The post Five trends in crowdfunding to watch in 2019 appeared first on e27.